Even with the colder weather fishing overall has been really good. 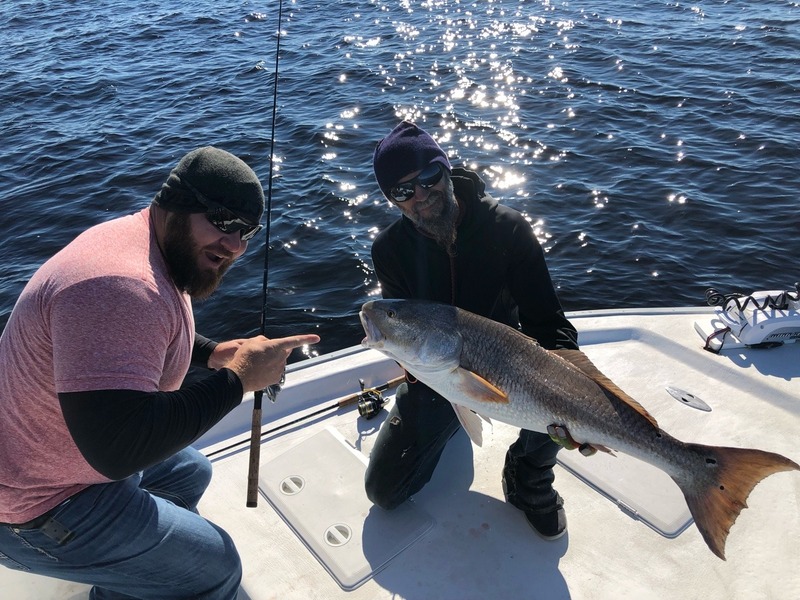 The redfish has been the main focus on the past few trips. 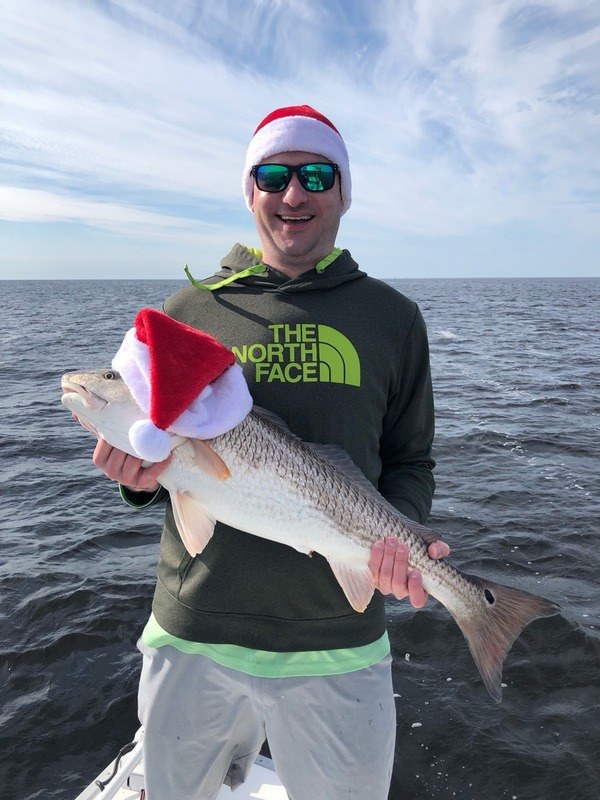 In the winter time we get big schools of spawning redfish, most of which are over slot size and can be a pretty good challenge on our light tackle. 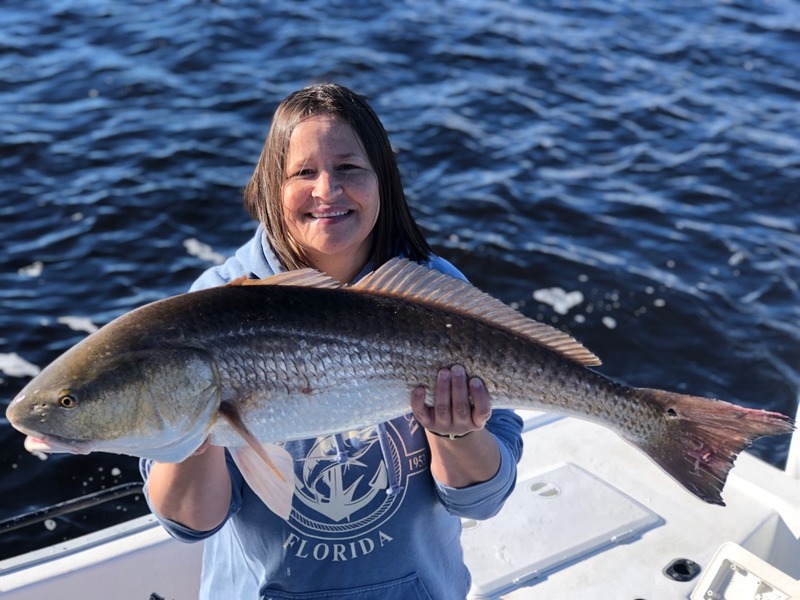 Speckled trout fishing has been good as well, most are smaller but once you get on a good school you can catch quite a few pretty fast. Lately the bait of choice has been live shrimp or bull minnows, mostly rigged on a Carolina rig or with a small split shot. As the winter goes on it should continue to stay the same for the next few weeks. The offshore fishing has also been good, as long as the weather allows us to get out there. This time of year the seas can be very difficult to predict, the ideal condition is to have a north wind. Right now theres not a lot in season, however if you are looking for action it can be some phenomenal fishing.